We put Oppo's SuperVOOC flash charging to test in the real world to see if the company's promise holds up. Read on to find out the results. Oppo made quite a splash in the Indian smartphone market with the launch of R17 Pro. The handset not only marked the debut of R-series in the country, but the flagship smartphone also brought the innovative SuperVOOC flash charging technology, which by many standards supersedes the current solutions. After testing the Oppo R17 Pro's SuperVOOC flash charging technology to charge 3,750mAh battery, it's clear that the Chinese company's proprietary technology is extraordinary. The company claimed SuperVOOC can charge 40 percent in ten minutes, so we decided to put that claim to test. After discharging the battery to 20 percent and then plugging in the USB Type-C cable attached to the SuperVOOC adapter, the countdown to 10 minutes started. While charging the phone, the R17 Pro was in use, receiving messages and 4G data turned on to make the test more worldly. In less than 3 minutes, the R17 Pro went from 20 to 30 percent. At the end of 5 minutes, the R17 Pro's battery crossed 40 percent. It's worth pointing out that the SuperVOOC delivered as per the company's promise in the first interval. It was also noted that the charging speed was consistent throughout. 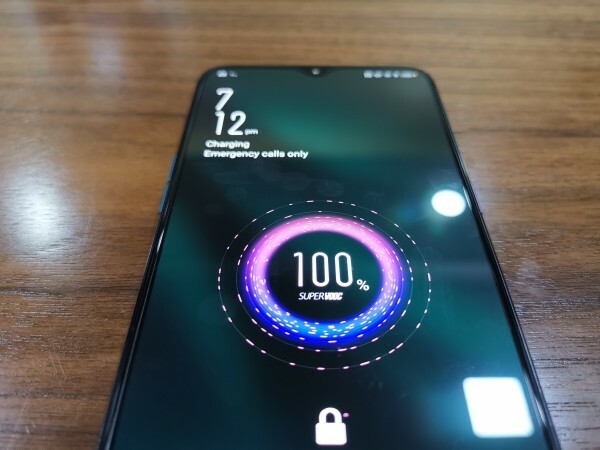 Finally, by the end of 10 minutes on the clock, Oppo R17 Pro had charged 60 percent. So Oppo's promise to charge the R17 Pro's battery by 40 percent in ten minutes is on point. Most fast charging technologies we've dealt with tend to slow down the charging speeds between 90 and 100 percent. So we thought, it would be ideal to test it, so we left the timer on as the R17 Pro continued to charge. It took 20 minutes to charge Oppo R17 Pro from 20 percent all the way up to 90 percent. And it's worth noting that the charging speed slightly slowed down, but it remained quite fast when compared to current standards. For those who are curious, the last leg of the battery (from 90 to 100 percent) charged in 9 minutes, which is the excess. Ideally, Oppo R17 Pro could charge from 0 to 100 percent in 35 minutes in a real-world case. In a previous test, as shown in the video above, we were able to get a 60 percent charge by plugging in the R17 Pro in 25 minutes. In both tests, there was a slight difference, but none were disappointing. In terms of battery life, we were able to get a full day of use with 4G turned on at all times, playing PUBG, social media browsing and a fair amount of calls and messages. 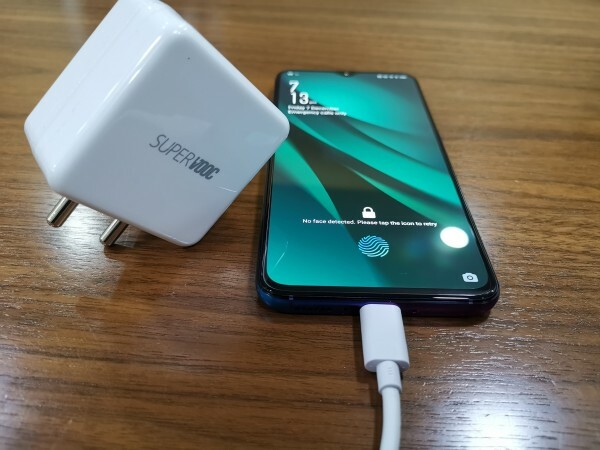 Oppo's SuperVOOC flash charging is the best fast charging technology there is and very well the biggest USP for Oppo R17 Pro in India. Stay tuned for a detailed review coming up soon.